Preached by Pastor Jon Truax on December 25, 2016 (Sunday Morning). Preached by Pastor Jon Truax on December 24, 2016 (Christmas eve). Preached by Pastor Jon Truax on December 24, 2015 (Christmas eve). Galatians 4:1-7 (Part of the Christmas series). Preached by Pastor Jon Truax on December 20, 2015 (Sunday Morning). Jeremiah 31:31-34 (Part of the Christmas series). 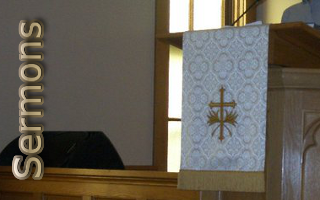 Preached by Pastor Jon Truax on December 13, 2015 (Sunday Morning). Luke 2:1-16 (Part of the Christmas series). Preached by Pastor Jon Truax on December 24, 2011 (Christmas eve). Preached by Pastor Jon Truax on December 17, 2011 (Sunday Morning). Preached by Pastor Jon Truax on December 11, 2011 (Sunday Morning). Preached by Pastor Jon Truax on December 24, 2010 (Christmas eve).